In the recent years, gift cards have emerged as a big marketing tool. Almost all the major retail stores, food chains and lots of small and big businesses make billions of dollars simply by selling gift cards. This helps them to add new sales chain that is very lucrative. Every kind of business whether it is a health club, beauty salons, massage therapists, dance schools and many more have tremendously benefited by gift vouchers. The interesting thing about gift vouchers is that in addition to being a gift to the recipient, it is a gift to the business too. In a way, your business is referred by a relative or friend of a potential customer and the incredible thing is that you are getting paid for it. The person who bought the gift voucher in reality is vouching for your product and service. It is like saying – Buddy, I like it I think you should try it out. A gift certificate has marvelous marketing power. It allows your existing customers to promote your brands in their friend circle. This is beneficial for your business branding. If you are looking for a good printing partner for your gift certificates, then the search is surely going to end at S S Graphics . We are in the printing business for the last 18-years, we have our own loyal customer base, so we understand what customer expects from business. We will design and print exclusive gift certificates that would be your special way of telling your customer how much you care for them. Also, this will help you to make a loyal customer base and promote business. Gift Certificates Printing is Easy! Gift certificates are unbeatable marketing tools for contest prizes, promotional gifts and customer loyalty campaign tools. Such gift certificates have sequential numbering options to keep track of each gift certificate you sell or give out.These gift certificates should be designed and printed in a manner that makes your design's colors stand outand attractive. 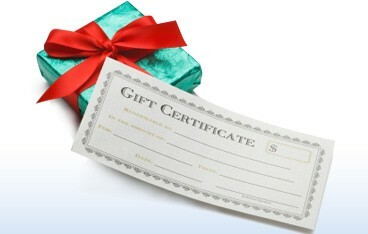 Gift certificates make for wonderful presents indeed whether you're ordering them for business or pleasure. Size : Choose an Option... 3"x 7" 3.5" x 8.5"